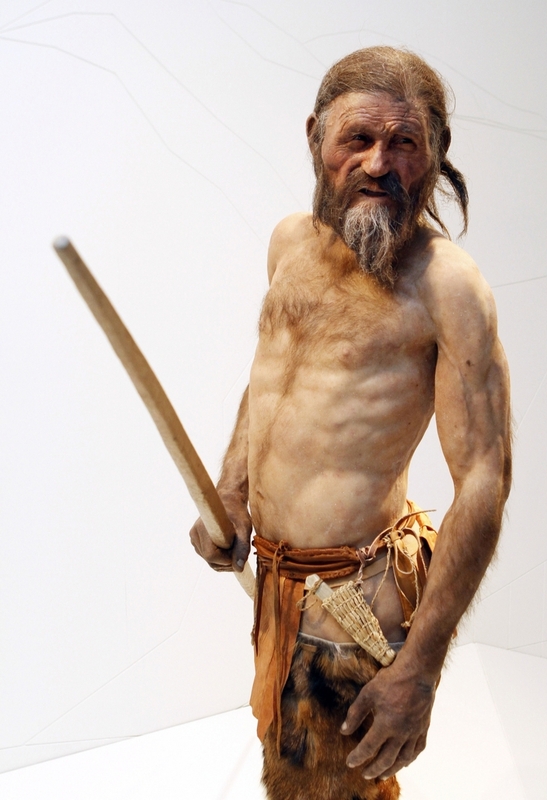 This is Otzi, or at least a reconstruction of what he might have looked like. 5,300 years ago, he laid down on a glacier near the border between modern-day Italy and Austria, under unpleasant circumstances. He was quickly frozen into the glacier. In 1991, his slumber was rudely interrupted by two German tourists, which eventually landed him in the South Tyrol Museum of Archaeology in Italy. Otzi is Europe's oldest natural human mummy, and as such, he's an important window into the history of the human species in Europe. His genome has been sequenced, and it offers us clues about the genetic history of modern Europeans.